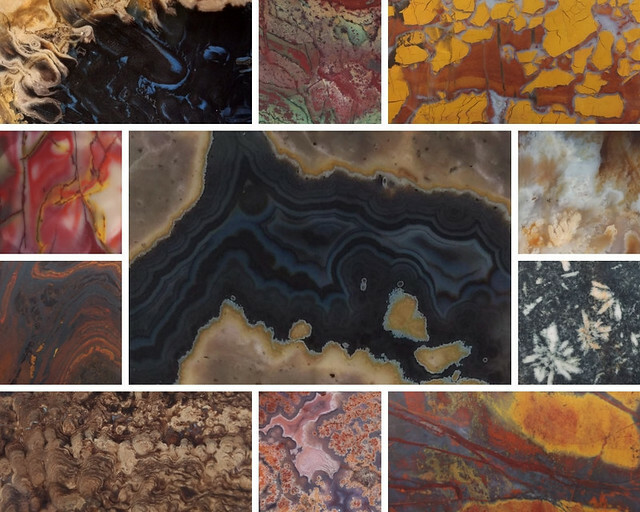 This is a great collage and really HARD to choose a favorite but the thunderegg front and center is incredible! The birdseye palm root looks fun. The stromatolite looks great. How hard is that material to work with? Some sweet runners up in the periphery, but that dark horse in the center just won the race! Also lovin' the palm root and T-egg.